Opression is all around in this world. Emotional , physical, financial and mental opression occur in the lives of many. In the Psalms David asks for deliverance from the opression of man. “Order my steps in thy word : and let not iniquity have dominion over me. Deliver me from the opression of man : so I will keep thy precepts. “(Psalm 119:133 & 134) Throughout the psalms David asks for deliverance from his enemies and troubles. We face enemies and troubles of all kinds in our lives and there is no better way than to call upon the Lord during these times. The victory has already been won. Jesus won it through one death, burial and ressurrection! The blood covered it all! Praise God! 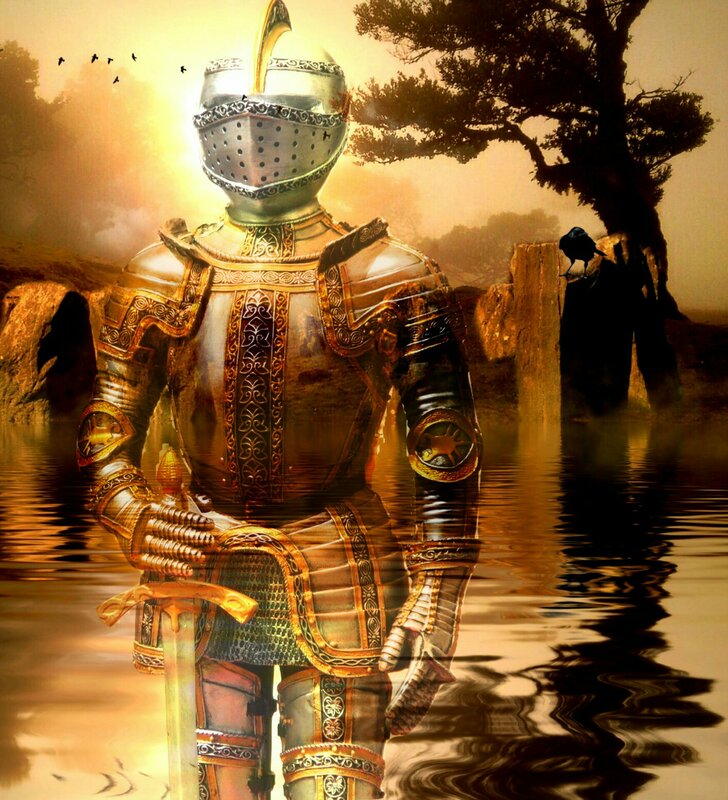 Putting on the whole armor of God prepares us to walk in the victory that has already been won for us. When we are putting on the armor of the Lord we are putting on the Lord Jesus Christ like the word instructs us to. (Romans 13:12 & 14) Below are some prayer points to consider as we put on the whole armor for spiritual battle. 1) Truth : As we pray in spiritual warfare we must have our loins fasten with truth. Truth which is the Word of God must be within us so that the lies of the enemy don’t have root in our hearts which hinders the flow of the Holy Spirit in our lives. 2) Righteousness : Our chest must be covered in righteousness. As we interceed we must be sober, walk in faith and love and apply the Word in our lifestyles. 3) Readiness: Our feet must have readiness and stability with the preparation of the gospel of peace so that we can stand firmly during testing and trouble. We won’t be moved in prayer and spiritual warfare when it gets difficult. God will give us hinds feet for high places. 4) Faith : We need to shield ourselves with faith against the fiery darts of the wicked. As we pray and war in the Spirit we need faith as our defense. 5) Salavation : Our head must be covered with Salvation. Helmets in the natural are made to protect the head from any danger or harm . So in the Spirit we need to wear our helmet of salvation in battle from danger and harm. 6) Word of God: We need our sword of the Spirit as our authority and power in intercession as we decree and declare. The book of Ruth is an amazing story of redemption and love. In the bible, Kinsman – Redeemer was a protection law that was in place for the welfare of the poor from being taken advantage of and from the wealthy taking away property that came from a people(community). The Kinsman – Redeemer is a reflection that God will redeem Israel from their suffering and the injustices and that Jesus is a Savior for humankind and will come back to conquer every evil deed . Below are some highlighted lessons on the book of Ruth to consider. 1) It’s better to be in a famine and under God’s protection, then to have a feast and step outside of God’s direction. When Elimelech and his wife Naomi(along with two sons) left Judah to stay in Moab, they stepped outside of God’s direction. Moab was a land in the bible where people worshipped false gods and idols. 2) Running from trouble brings added trouble when we are outside the will of God. In Ruth 1, it mentions that Elimelech(Naomi’s husband) died and later on Mahlon and Chilion(Naomi’s sons) died. There are always negative consequences from making a choice to be outside the will of God. 3) Faithfulness always ignites breakthrough. Ruth went into the field to gather from the harvest. God used Boaz to protect, provide and be generous to Ruth. Ruth stayed with her mother – in – law Naomi and went in the field and miraculous things erupted from that. 4) When you look out for someone else and allow God to work through you for their blessing, bitterness will dissipate. Naomi who was bitter decided to let go of the bitterness and she guided Ruth in how to go to Boaz. 5) To travel from grief to restoration it requires trust, faith and obedience. Ruth had to trust that after the death of her husband that this was not the end of her story. In addition, she had to believe that God would turn her situation around and she had to follow the instructions she was given from her mother – in – law and take action from her trust and faith. Whew! These last few weeks and months have had sudden changes with me and things I’m involved with. Many of these changes has challenged me and reminded me once again that I’m not in control and never was meant to be in control of how my life should go and how things concerning me should go. All these changes that recently took place were beyond my control, which sometimes tempted me to become hasty and impatient. Some things that happened was from a change that was forced on me with no previous notice at my first Resilient book event to an allergic reaction form prescribed medication from the doctor that developed a rash on my body and my throat tightening. Below are some points to consider on adjusting to change. 1) Outward unpleasant changes are meant to bring a pleasant change on the inside of us. As an author I know that if I have done my part and followed up in advance with the other experienced adult person who was supposed to do their part or at least contact me in advance if they couldn’t – then I need to not internalize the situation and just use it to cause me to respond in a calm, peaceful and merciful way. And to remember there are times I’ve messed up and yet God doesn’t push me away and say it’s over with you. 3) Nothing will always go perfect, there’s a least something that could happen. It’s an opportunity to bring improvements into the picture next time around. The only way for something to go better next time is through things not going the way it could have. 4) Change can later on channel us to something that we can cherish. Most times later on we can see how the changes were really good for us and led to greater things. What ways do you adjust to change? How has change helped you along the way? The publishing and writing industry has great creative times and it also has challenges that comes with being a part of it. As a published author and writer, I’ve experienced both sides and have learned and am learning through the process of writing and publishing. Below are some highlighted lessons to consider on publishing. 1) Always have a detailed plan that includes a marketing strategy. Whether you write books, articles or blog posts – the message and information can reach its audience when its targeted to readers effectively. 2) Give yourself extra time for the planning and preparation stages. Sometimes delays happen beyond a person’s control and things go wrong. Having extra time allows enough time to make changes and be organized. 3) Don’t look for major results in the beginning of something new. The little results eventually build up over time. Give it time. 4) Don’t place the value of yourself and your work based on sales and approval of people. Money and popularity doesn’t determine the quality, it may just show how well liked and well received a person is. Even ones that are well liked and well received have people who don’t approve of them and what they are doing. 5) There’s always something new to learn and try in the publishing and writing industry. Always be open to learn and try new ways to grow as a writer and/or author. What are some lessons have you learned through/about publishing? As believers and disciples of Jesus Christ, we are commanded to evangelize the gospel of the Lord Jesus Christ. There are effective ways to share the good news of the Gospel with other unbelievers. The bible is our tool when we go out fishing for the lost and love is our bait in drawing people to Christ. Below are some highlighted lessons through evangelism. 1) The Gospel of Jesus Christ is for everyone. According to Mark 16: 15 we are to preach the gospel to everyone that we have an opportunity to do so. It doesn’t have to be fancy or huge in any way. It could be the simplest statement of words that causes someone to consider and/or question what you said that could potentially have impact that leads them to Jesus. 2) Compassion towards unbelievers is vital to reach them. It is important that we allow people to share with us what’s on their heart. We don’t always have to reply to everything, but sometimes just listening with compassion and care makes much of a difference. As we listen God will allow opportunities for us to plant a seed in them in whatever way He directs us. 3) There is plenty of work to do for the Kingdom of God, but few workers who have a willing heart to do the work. (Matthew 9: 37 – 38) Do we have a willing heart that will go out and win souls for Jesus Christ? A willing heart will do just that. 4) Through the power of God we must become set apart and dedicate our lives for serving. (1 Peter 3: 15) Disciples are to walk in the way of Jesus Christ and holy living. They must become a servant. 5) We need the power of the Holy Ghost when going out to evangelize. The power of the Holy Ghost moves differently in each believer. There can be many blockages in someone that can quench or hinder the power of the Holy Ghost from operating in their life. Every Christ follower can boldly ask to be filled and refilled with the Holy Ghost. Don’t be discouraged if you have not yet seen the manifestation. Keep asking and seeking the Lord. 6) Every believer must stay watchful and don’t give in when we face afflictions. (2 Timothy 4: 5) The devil doesn’t stop his work of wickedness and evil so we must always keep watch and stay faithful to God even when we go through. 7) Keep praying and always give thanks. (Colossians 4: 2 -6) We must never stop praying in our service and must always have thanks in our hearts. 8) In order to effectively share the good news we must be students of God’s Word. (2 Timothy 2: 15) Studying the bible is extremely important as disciples. Sometimes tiredness, busyness and other distractions will try to creep in, but we have to learn to refocus as students. We don’t have to be the smartest, be the best verbal speaker or have the highest intellect in order to work for the Lord. Remember God can use that which seems foolish! While working as a temp in reception this week, I thought of and realized some benefits and positive opportunities in having and getting temporary jobs. Yes, there are a lack of benefits and opportunities when there is no steady income or work, but I decided to look at, see on purpose and be grateful for the positive and learn to trust God through the lack. Below are some benefits of temporary work. Learn, practice and develop new skills and information. The skills and information that I don’t know or haven’t yet developed and learned can produce and evolve through temping. More time and breaks to work on dreams, goals, commitments, responsibilities and other activities. My writing career, ministry and business interests are all being developed and prepared during periods of no paid work. Meet new people, make new contacts and even network. I have met different people and got to share things that people I already knew didn’t know. Market and share about projects when others ask and show interest. Sometimes I get asked about my writing, then I have the opportunity to share about my recent and past projects. Break out of comfort zones. There are some things that I wouldn’t normally do outside of some jobs, but the situation gets me to do those things. Meet up into old/present friends, acquaintances and peers. I have gotten to see some old/present friends, acquaintances and peers in the temp environments. It’s pleasant and enjoyable to catch up a little with them when things are going slower or during a lunch break. Be more patient with myself. My anxious and introverted self can be extremely harsh, hard and critical towards myself. When we have no other choice but to depend on God for those things that don’t come regularly He develops faith, humility and brokenness through us. There is always a purpose in preparation for wherever God would have you to be and whatever He will have you to do. It might not look like the plan, picture, map and path you have in mind and view, but it always leads to wonders to explore and God’s perfect will. Copyright © 2015. Crystal Holdipp. All Rights Reserved.